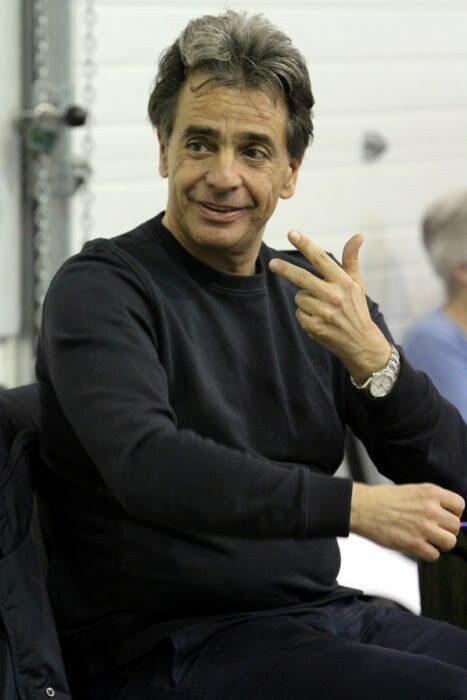 Julian Kovatchev makes his Seattle Opera debut conducting Madama Butterfly. We spoke the other day about what he learned from his mentor Herbert von Karajan, about his work conducting in German (Dresden and Berlin) and Italian opera houses large (Verona) and small (Lucca), and about what a company of performing musicians has in common with a flock of birds. 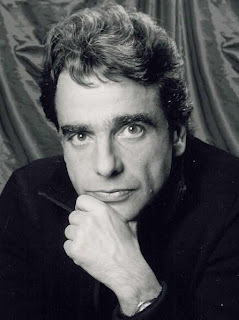 Welcome to Seattle Opera, Maestro! This is your first time conducting for us and your first time in Seattle. Yes, really it’s my first production in the States. Right, but that was very quick, another conductor had led the rehearsals. I am very happy now to be here! Tell us a little about yourself and your background. Where were you born? I was born in Bulgaria, and grew up in Germany. Yes, but that was much later. I came over to Germany when I was 11 years old, with my parents, to a town in Bavaria near the Austrian border, just a few kilometers from Salzburg. Yes, it was possible at that time as a musician to come over to Germany. You paid 10% of your income every month to the government in Bulgaria; musicians, doctors, people like that could go. So we moved there, and when I had finished my studies in Salzburg, I learned violin, I came to Berlin to play with the Berlin Philharmonic for five years, while studying as a conductor at the Hochschule für Musik in Berlin. I read that you were five the first time you performed. Yes, my first concert! It was with my mother at the piano, in front of soldiers. I have a copy of an old documentary film, the Cinéjournal that was made, you know, when they used to play little news features before showing movies, and the last episode on this one was my appearance. It’s very funny. So your parents were both musicians. Yes, my mother was a pianist and my father a violinist. I started playing with my father when I was 3 ½ years old. And he brought me every night to hear the performance at the Sofia Opera House. You grew up speaking Bulgarian, and then learned German...what other languages do you speak? Also Russian, and Italian, and English. But it’s not important how many—what’s important is if you have something to say! 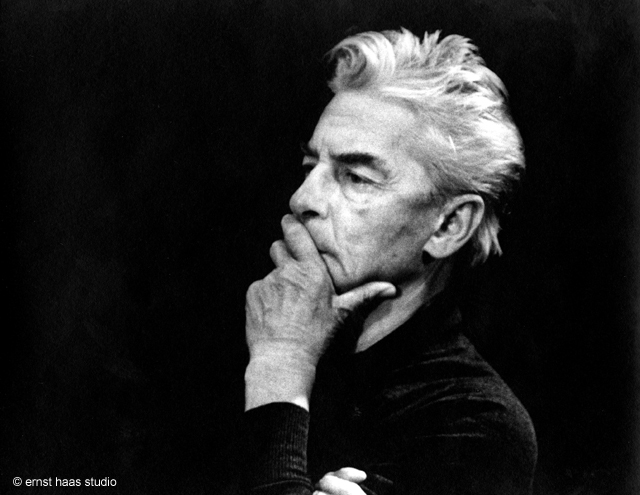 Now in Berlin, you worked and studied with legendary conductor Herbert von Karajan. How old were you? I was not even 19 when I came to Berlin, in the late '70s, and I was lucky enough to work with him for many years. Yes, the last one, I am playing in that! If you hear any wrong notes, that’s probably me! [laughs] I am thankful for my destiny. He dedicated a lot of time—I still cannot explain why—with me, alone, to discuss conducting, which I was studying then. It was incredible for me. I think he loved Bulgaria, he worked with many Bulgarian artists, and he went there often. What are some of the most important things you learned from him? If someone has influenced me, musically, it was Karajan. It’s difficult to put it into words; but his will to discover something new every day. 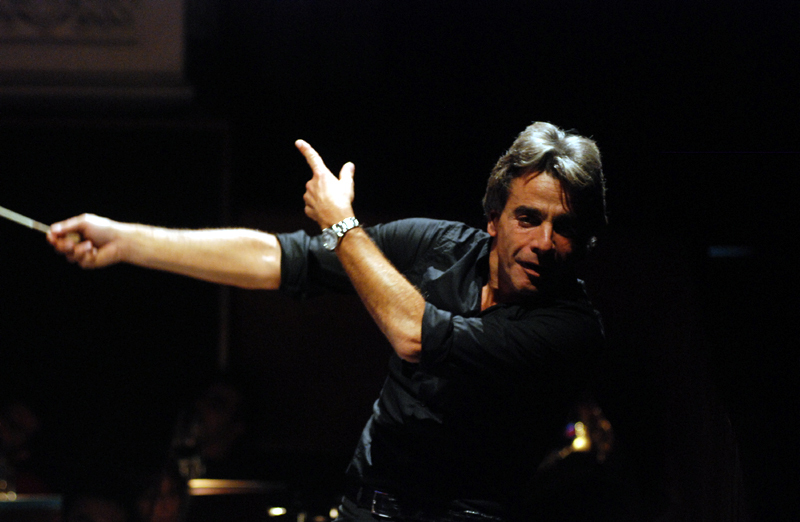 You know, conducting is a very complex profession; you have to be half a psychologist. And conducting opera? You were playing in the symphony, originally. Yes, I grew up in the symphony, as a player and a conductor, and slowly came into opera. I conducted my first opera in Italy in ’85, it was Janacek’s Jenufa in Trieste. Then I did more and more operas. Now I split my time half-and-half between symphonic music and opera. 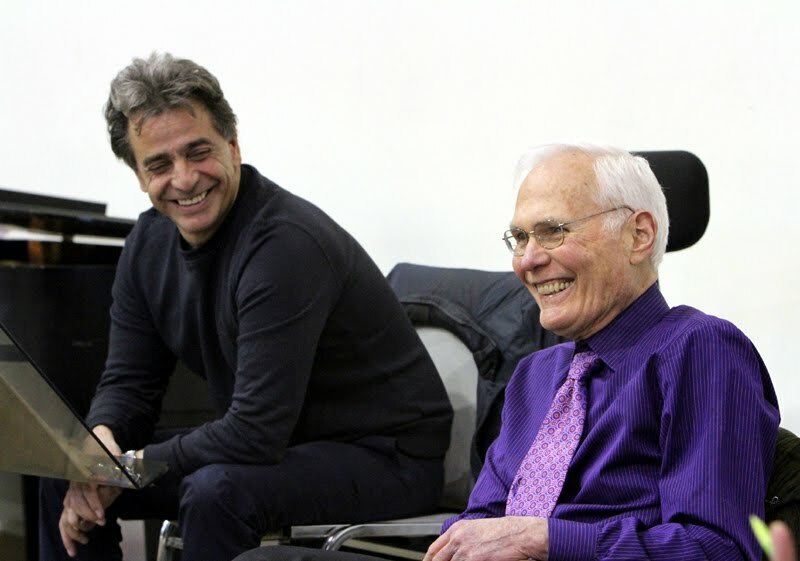 Did you work on operas with Karajan? Yes, with the Berlin Philharmonic we did opera in Salzburg for Easter, and some recordings. People often talk about how he did his own completely idiosyncratic readings of operas—you know, how the Karajan Parsifal is not like any other Parsifal you’ve ever heard. Now let’s talk about you and your career. You conducted your first opera in Trieste, and you’ve conducted there a lot. Yes, I was principal guest conductor there for a while. And in Lucca, where you’ve taken this position at the Teatro del Giglio? That’s a very new thing, they’ve ask me to become Artistic and Musical director. So you choose all the repertory and cast everything. Yes, it’s nice because of the responsibility of Lucca’s being Puccini’s home town. 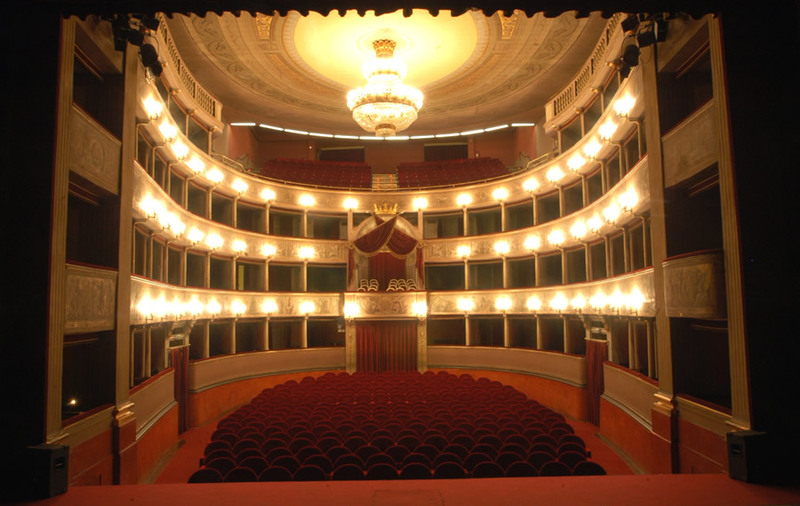 We share productions with other theaters in Italy, including Livorno and Pisa. It is not so big a theater, less than a thousand seats, but it’s very old, and just 100 meters from the Puccini house. At the other extreme of scale, you conduct every summer at the ancient Roman amphitheater at the Arena di Verona. Yes, I feel very much at home in Verona, it is a special place. For the last six or seven years, every summer I work at the Arena and in the winter at the Teatro Filarmonico, where there is a big opera and concert season. In January/February of this year we just did Pagliacci with Zefirelli. 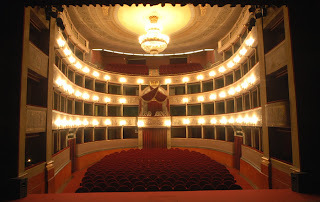 I have a small theater in Lucca and the biggest theater in Verona! Is it difficult to conduct in such a huge place? It takes a bit of experience. You have to concentrate, and anticipate. Sometimes, for example, the chorus is divided, to the left and the right; sometimes you cannot even see them. But the acoustic is very, very good. The public hears everything wonderfully. Have you conducted other big outdoor spectacle events? In Busetto, yes, we did Verdi like that. But I am very happy now to work indoors a lot at Staatsoper Berlin and in Dresden, at Semperoper. We did Tosca there recently, and I go back soon for more Tosca, La boheme, and Traviata. In the program for our upcoming Madama Butterfly simulcast on May 5, you say “There are so many different emotions in each moment of this opera, and only a genius like Puccini could include them all in this wonderful music.” Could you tell us more about how these emotions play out? Yes, this is not about this bar or that bar, it is the entire opera. Some singers, some sopranos, cannot perform Butterfly because they cannot go through all these big emotions. It is so difficult to control yourself sometimes. Even as a conductor. I spoke with Karajan about this; he wrote a book, Controlled Ecstasy, about how this happens—you cannot rehearse it. With magnetism, with all the musicians together during the performance, in that moment you can feel cold and hot, the hearts are all beating together, like a flock of birds, which suddenly fly together, to the left or the right [gestures]. In this Butterfly we have magnificent singers; Patricia [Racette] puts all her heart and soul into the performance. I sometimes wonder how she can keep control and sing so fantastically, while feeling these emotions. I get involved also, especially at the end. And in the intermezzo. There’s never a moment when you can relax. Other operas have recitative or something, but when this begins you have to see the end from the beginning. There are moments in Butterfly when it gets slower, or quieter, but that’s usually when things are getting more tense onstage. Yes. We need these moments of silence; it makes what is happening in our fantasy more special, more strong. Not everything has to be perfectly clear. Everybody in the audience must take the emotions into themselves. It is not that you have to feel exactly what is happening onstage. It is inside you, how you reflect on your life. That’s how it’s possible for all of us to be involved, all the audience, together. The music begins where the words leave off. There are separate worlds for everybody, individually, in the audience. You can see and hear the story, but you put the music into yourself and go out with your own emotions, applied to your life and your own feelings. What would you say to an opera-goer who claims not to like Puccini? Interesting question. Some people may have a problem with classical music in general. But to them I say, you don’t know what you’re missing. There’s nothing to fear about this. And many young people know much more classical music than they think. All you have to do is watch television commercials, and you know all of Carmen. 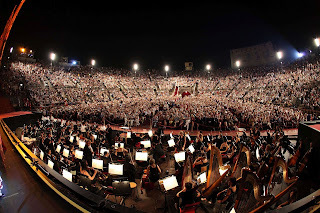 Each year we do a radio broadcast on RAI from Arena di Verona, a big gala, with music from operas and also music by rock stars. Music is music. My car is full of rock and pop. 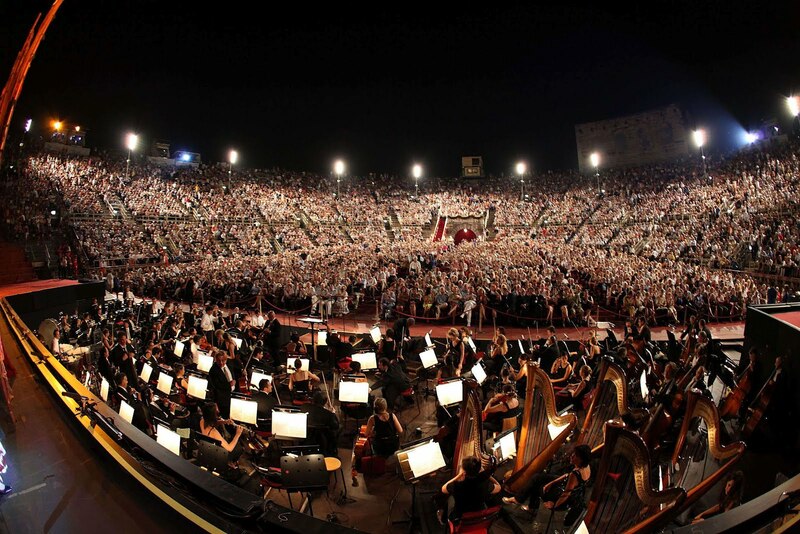 There are many more young people now going to Arena di Verona, because of what they hear. Yes, I’m pleased to say that here in Seattle, for our first-ever simulcast, we have some 7000 people who have already pre-registered to attend Madama Butterfly for free at Key Arena on May 5. Yes, that is fantastic! What a night it will be! Thanks for a MOST interesting interview with Maestro Kovatchev!!! He has a fascinating career!! Maybe you could also interview Ausrine Stundyte, a VERY intelligent woman, who feels she has learned VERY much from Maestro Kovatchev!! I look forward to the Seattle "Butterfly" and to experiencing how Ms. Stjundyte and Maestro Kovatchev work together!!! Hi, Win! Yes, Ausrine is a lovely person and performer, and we're very much looking forward to her company debut as Cio-Cio-San on May 11. We interviewed her a few days ago and will post our Q&A here on the blog soon, so keep an eye out for that! Did you know you can create short links with AdFly and make money for every visitor to your short urls.